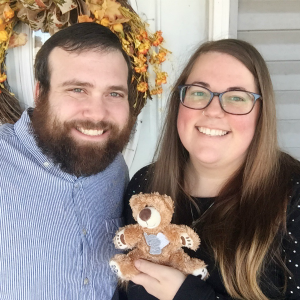 As the seasons change and we prepare ourselves for the inevitable, and sometimes necessary, hibernation that occurs during the winter months we begin to contemplate the things we set aside during the carefree warmth summer provides. The Holiday season promotes this sense of thoughtfulness; looking beyond the masks at Halloween, figuring out what you are thankful for around Thanksgiving, seeing the good in others at Christmas, and contemplating what you need to change about yourself at New Year's Eve. I could make a list for each one. As a blogger, I love lists. But I never thought a list could help me figure out who I really am and what I believe until a couple of years ago when I found a book called List Yourself: List Making As A Way To Self Discovery. I don't remember why I bought it, but soon after I had to pack it up because my life was changing and, for the third time that year, I was moving. It's stayed tucked away, along with my other books, in a large rolly suitcase stacked among boxes and furniture in a dusty storage unit in Georgia. A few weeks ago I finally unpacked them and discovered this book all over again. As I thumbed through, some prompts stuck out. I marked them determined to make my way through them before the end of the year and then I thought "why not share this with others? I can't be the only one who needs some help letting things go and accepting myself as I am." So here we are. I invite you to take this challenge with me, but since this is a non-official linkup thing I don't really have any set guidelines or clever hashtags for social media. But I do have some unofficial co-hosts who helped me decide if I should post this for you all or not. So big thanks to Melissa from The Rambling Llama and Kathy from Him & Me. I just chose 30 prompts that jumped out at me. Some are fun or insightful, while others make you look deeper inside yourself for the answers. You can choose to explain your answers, or not. You can do all them, or only some. 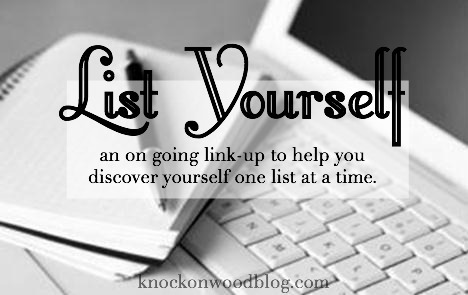 The link-up will remain open, so you can add your list posts as you write them. Self Discovery takes time, after all. Only one rule: Be honest, especially with yourself. List all those restrictions from stop signs to gravity that you can't stand living with. List all the things you'd like to say to your mother. List all the things you'd like to say to your father. List all the things you hide when your friends come to visit. List the brand names you buy and swear by. List the best gifts you've ever been given. List the ways you have changed for the better. List the places you have visited that have altered your view of the world. List the attitudes and habits you've had to give up to get through life. List some of the people that have really changed your life. List the fads you embraced while growing up. List what makes you laugh. List the quotes you find yourself spouting. List what values you need in a lover, significant other, or mate. List all the excuses you've used to get out of dates or appointments. List the things that you presently find yourself praying for. List those unanswered questions that have been plaguing you since childhood. List the foods you'd eat if guaranteed you wouldn't get fat. List all the details you can remember from your childhood bedroom. List the ways you sabotage yourself from getting what you want. List the movies you've seen that were really worth two hours of your time. List the real reasons you are inspired to stay alive. List the names of all your pets from childhood until today. List the transitions in your life that taught you the most. List all the habits you just can't break. List the parts of your body that make you feel like you. List how you feel connected to other people around the world. I'll be adding my own lists to the linky tool as well, so be sure to stop by to watch it grow.